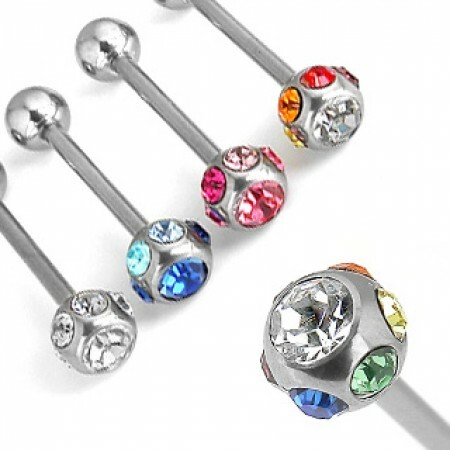 A luxurious barbell with gemmed balls of 6 mm. You can choose from a variety of different colours. Note that when wearing as a tongue piercing, these balls can feel quite sharp.